You've heard Gerald Celente across the media landscape, on Coast to Coast with George Noory and elsewhere. His no nonsense takes on world events makes him one of our favorite guests. Gerald deconstructs what's happening both in America and worldwide in terms of the wave of populist leadership and the revolt away from traditional political leaders and systems. What's the net effect of these waves of populism? Gerald answers that question and gives us a guide for the prevailing trends. First, former co-host, Heather Ankeny, stops by to see Mark Thompson and J. Elvis Weinstein. Heather shares a bit of what's been going on in her life which includes a brush with Stedman Graham and Heather's take on the "Me Too" movement. Mark shares the story of his mentorship of a foster child. Comic and political analyst, Alonzo Bodden, alonzobodden.com is funny and is everywhere...On network television, providing political commentary on the TYT network and comedic moments on NPR's show Wait, Wait, Don't Tell Me. His life has taken him from work as a mechanic building Stealth Fighters to comedy clubs and a rise through a primetime, comedy reality show, Last Comic Standing, that vaulted him to a new level of success. (24:50) Alonzo talks with Mark Thompson and J Elvis Weinstein and the three get into talk of politics and the contemporary issues facing the two party system as well reflecting on Obama and some of the disappointment with political realities confronting that administration. Before Alonzo, Mark Thompson talks with political analyst, Michael Shure, about the Supreme Court nomination process and Mark suggests there are many parts of the process that might be broken. The two discuss the mid-terms and answer a listener email. Two voices of progressive comedy: Ron Placone and Graham Elwood. Both on Jimmy Dore's show and also on the Progressive Comedy Tour they get out their viewpoint without the intense harshness that's become commonplace in today's politically charged conversations and performances. It's not all politics. Mark asks Graham about his one night marriage to a stripper in Las Vegas and, in a moment with less levity, Graham also talks about his home being foreclosed upon as a result of predatory banking practices. How do the different crowds nationwide react to the comedy and today's political situation is among what's covered in this episode. Evil Genius Director, Barbara Schroeder, Takes Us Behind the Hit Netflix Docu-Series, First, Political Talk: Flipping the House..And..Can There Be Fair Elections Anymore? This baffling true crime story starts with the grisly death of a pizza delivery guy who robs a bank with a bomb around his neck -- and the story only gets weirder from there. Director Barbara Schroeder sits in with the crew and tells the story of how this project came to her and how she wrestled with bringing it to life. Mark Thompson is joined by Heather Ankeny and J Elvis Weinstein for the conversation with Barbara Schroeder. The show begins with political specialist, Michael Shure, returning to update the mid-term elections. Mark expresses concern about the safety and integrity of the election process in America. Can there be free and fair elections in America anymore? Michael and Mark talk about the White House dinner celebrating the Christian right. John Cynn is a newly minted poker champion, the winner of the World Series of Poker Main Event. John takes Mark Thompson and J.Elvis Weinstein through some of what goes into being a good card player and the obstacles he was up against. From superstition to visualization to not being able to tell your parents about wanting to be a professional poker, John reviews it all. The guys review a couple of hands and strategies. John discusses his plans for the future and plans for the 8.8 million dollar prize. 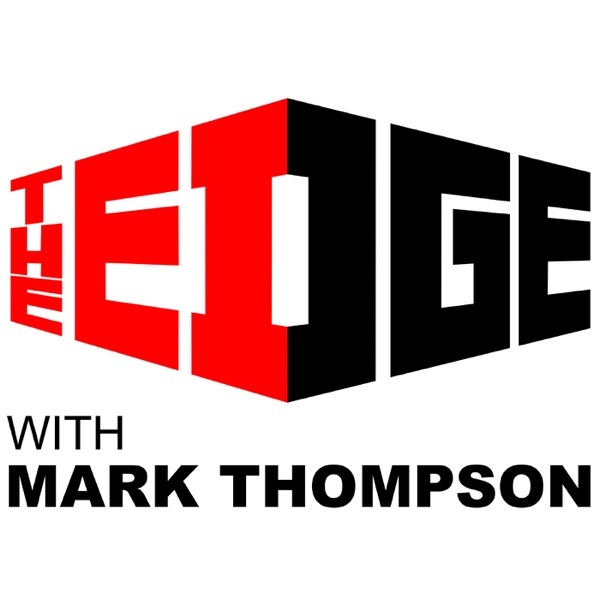 In a special edition of the show, Mark Thompson welcomes back entertainment reporter Sam Rubin who has is filled with enthusiasm for a product from New Zealand that Sam explains has significant restorative properties. Sam insists HE is partially responsible for the "Manuka Miracle," the sudden upswing in interest in and use of Manuka Honey from New Zealand. Recently featured in a special report on "Good Morning America," Sam and Mark are joined live from Auckland New Zealand by Kate Kember and David Campbell, both from Manuka Health, New Zealand's premiere provider of Manuka Honey. From these two experts, Mark and Sam get full details on the benefits of Manuka Honey for the skin and overall health, learn the special process of bee keeping and harvesting and why Manuka Health's products are sold in over 45 countries worldwide. Additionally we learn how to be better consumers and how to avoid rip-offs from unscrupulous providers. Sam maintains the "Manuka Miracle" can change your life, and maybe even make Mark's skin glow. Former Editor-In-Chief at Rotten Tomatoes, Matt Atchity, presided over the website as it became a go-to destination for people deciding what films and television offerings they were going to watch. Matt joins Mark Thompson and comic/documentary film director, J Elvis Weinstein on this episode. Matt explains the power of "Certified Fresh", the limited power of the superhero and tentpole films and studios generally. Finally, Matt talks about The Young Turks and his goals for TYT. Matt is one of the hosts of WHAT THE FLICK (which reviews movies and TV) on the TYT network. Before Matt, Michael Shure returns from Israel and looks at the political aspirations of Jim Jordan as Jordan attempts to succeed Paul Ryan as House Speaker. One problem Jordan may have is the trail of controversy that's shadowing him. Mark also asks Michael about the Endangered Species Act and why it's rollback is a priority for Trump and Interior Sec'y Zinke. Michael explains the politics. Vegas mobster, Frank Culotta, is out of witness relocation and now telling stories of his days in the Vegas mafia. Culotta arrived in Vegas from Chicago as an underboss to Chicago boss, Tony Spilotro and explains the mob role in an expanding Las Vegas. Gambling, "skimming" and killing.. Murder, enforcement for the mob and high end burglary (he ran a robbery crew called the Hole In The Wall Gang) is what Frank's life was about during his mob years. Frank was also the technical consultant on the movie CASINO. He sat alongside Martin Scorsese for the shooting of the film. Before Frank, Michael Shure joins Mark to shed light on the new Supreme Court appointment. The appointment comes from a list prepared by a conservative think tank and the leading advisor to Trump, Leonard Leo, is someone with a tie to a secret society called the Knights of Malta. The two talk about the Thai cave rescue. This is a shorter than normal episode so you'll be done in a little over a half hour! Enjoy! Featured guest, Bill Schneider, is a leading political analyst, a professor of government and author. Bill was CNN's senior political analyst for 20 years and his writings appear everywhere from the LA Times to the Atlantic, Politico and Reuters. He teaches at UCLA and George Mason Univ. outside of D.C.
Before Bill arrives, regular contributor, Michael Shure drills down during THE FAST 15 (politics and more) to discuss how we got to this stage of the Supreme Court. Michael also punctures a bit of the progressive balloon about the mid-term primaries and defends the oft assailed, Nancy Pelosi as having one of the best 18 months in her political life. Then, from Mystery Science Theater 3000, TV's Frank, Frank Conniff joins J Elvis Weinstein and Mark Thompson. Frank is a producer, writer and prolific comedian. Frank discusses life in NYC at Sirius Satellite Radio, his thoughts on MSNBC and FOX NEWS CHANNEL and then Frank stays on to speak with political analyst, Bill Schneider. Comedian Jake Johanssen is finishing up an international tour with Russell Peters. He talks about touring with that show and traveling around the world on what can be a brutal performance schedule. J. Elvis Weinstein joins and the two talk about audiences and politics and what it takes to be a successful comic today. Jake tells a story about how the talent coordinator for THE TONIGHT SHOW with JOHNNY CARSON thought Jake's style might be interpreted by Johnny as nervousness and it delayed his booking on that show. Jake and Mark go back to the 80s and Mark's a big fan of Jake's work but this is Jake's first appearance on the show. Jake has a podcast called JAKE THIS. J.Elvis Weinstein's podcast with Andy Kindler is called THOUGHT SPIRAL. We start the show with political analyst and hockey fanatic, Michael Shure, running into The Stanley Cup. Michael also discusses the crisis on the southern border and asks Mark a question about trophy hunting. Carl Gottlieb is famous for having helping bring the film, Jaws, to the screen. Carl also collaborated with Steve Martin on THE JERK having met Martin while they were both writers on THE SMOTHERS BROTHERS SHOW. Carl takes Mark Thompson and J.Elvis Weinstein through the process of getting those movies completed. He also visits the film CAVEMAN (starring Ringo Starr) which Carl wrote and directed. J Elvis asks about Carl's participation in the legendary comedy group, THE COMMITTEE and about the emerging S.F. comedy scene of the 60s. Before Carl Gottlieb, Michael Shure stops by with THE FAST 15: Politics and More. Michael talks with Mark about the President's obsession with using pardon power and whether Presidents should have that power at all. Also, champion teams deciding whether or not to visit the White House..The Supreme Court decision on employees rights to sue. Then, finally, Miss America says goodbye to swimwear. You can purchase any of the Carl Gottlieb books by clicking this link. It was an epic week for the most powerful star on television. In one instant Roseanne Barr destroyed her current show, past show and her standing in show business along with the livelihoods of scores of staffers. Award winning entertainment journalist, Sam Rubin, from the #1 morning news show in L.A., talks about Roseanne's epic fall. Then, Michael Shure had a prediction that looks increasingly accurate. Plus, Mark and Michael weigh in on the Supreme Court decisions that will legalize sports gambling by state (neither supports it) and a crucial decision against workers' rights to organize. 20:40-48:00 Michael Shure joins Mark Trump-Broidy prediction, legalizing sports wagering and more. 8 women have come forward with reports of inappropriate behavior by actor Morgan Freeman. Mark Thompson wants to ask Morgan Freeman about these reports. With a background as a writer, researcher and even poetry editor for the New Yorker, planning the funeral of Charles Manson seems like a job television producer, Robin Keats, wouldn't be involved in but Robin is no normal television producer. Robin shares details of his new documentary focusing on the real family of Charles Manson (not the infamous family involved in the murders and crime spree). Robin also tells Mark and J. Elvis Weinstein (Josh) about his life as a writer and documentarian which brings him into many worlds. Those worlds include being approached to head up a "fake news" organization. The show begins with THE FAST 15, political reporter and analyst, Michael Shure, fresh from his trip to Arkansas, talks about the evangelical movement in America and it's increasing political power. John Iadarola from the TYT Network (the largest online news network in the world) returns from the Arctic and has a new documentary series chronicling his journey, TRUE NORTH. John accompanies international climate scientists and shares their thoughts, research and conclusions. There are also quite a few moments of experiencing local color, history and adventure. John talks with Mark Thompson and J. Elvis Weinstein about the documentary series and about TYT. First, Michael Shure joins Mark and discusses the sorry state of education with one of our listeners, Randy, who calls in and offers some innovative solutions. Finally, Marc Ching.. Marc has made the infiltrating of the Asian dog meat market and rescuing animals from these torturous situations a life's work. He's taken that work here to the USA where the IT'S LEGAL TO EAT DOGS AND CATS.